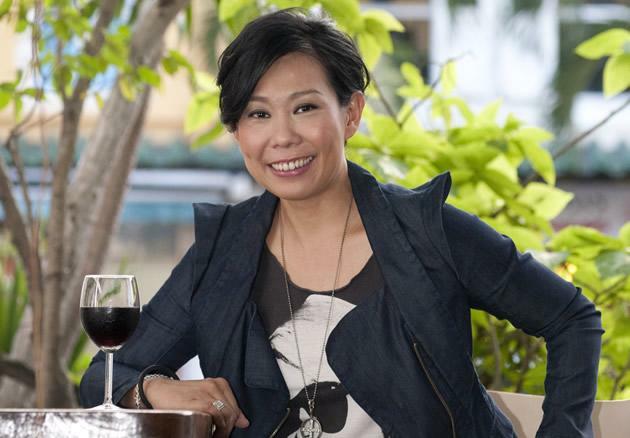 Irene Ang has come a long way since her days as Rosie Phua in P. C. K. Private Limited. She now has a long list of occupations to her name: actress, host, stand-up comedian, event coordinator, motivational speaker... and oh yeah, let's not forget to add 'CEO' into the mix. With a combined staff strength of about 30 and more than 40 Singaporean and regional artistes under her flagship talent agency FLY Entertainment, she was nominated as the Ernst & Young Entrepreneur of the Year in 2004, and was a Spirit of Enterprise nominee in the year before, among other awards in comedy acting. In spite of all that she's achieved, however, the lithe 42-year-old still insists that she is not rich money-wise. "I've actually never thought about money," she confesses, in a two-hour-long interview with Yahoo! Singapore. "My friends all say, 'This Irene, must be very rich; with the multitude of businesses that she has, with the success that she has,' but actually I don't have money... because every time I make money, I (take it and) go and do something else." By 'something else', Ang explains that she has the tendency to keep "ploughing" her money into new projects, such as mentorship programmes, new cafes and ideas for businesses. "It's always ploughed into something else, so I joke sometimes that I'm allergic to money," she says. "It's like, money comes to me and I go, 'Ahhh! Must get rid!' and push it away, but it keeps coming. I really still don't have money in my bank," she says earnestly. She was very open about sharing her basic salary -- $4,500 per month, as founder and CEO of FLY Entertainment ("Quite high, right?? Before that, there was no salary," she quips) -- but qualified that her "real" income is mostly drawn from her work as an artiste, mostly in hosting events, performing, and more recently, celebrity tours. "I never seek it; the jobs keep coming," she says. "People just come to me." Contrary to what one might expect, the entertainment bigwig does not see acting as top on her list of favourite professions -- she enjoys hosting live events and giving motivational speeches more. "Those (hosting events and motivational speaking) are my favourite because I get paid to share my story, and to inspire people for a day," she says. "I like that I'm just sharing something new, so I don't have to remember lines -- just put my stories together, and link them up in a way that suits what my audience needs or what I'll be speaking about." Her own story is itself interesting -- with a mother who was a drug addict and a father who dabbled in gang-related activities, she was raised by her grandmother when her parents separated. She bought her first HDB flat for her mother when she turned 21. She spent a year sleeping in her aunt's kitchen, because she "had no place to go", and has more than once contemplated suicide. For this reason, in spite of the dynamic and powerful persona she now often weaves for the public, with the causes she champions, she describes herself as fragile as a wine glass. "I've willed myself to be strong. I'm not who I am today by birth," she says. "I was very quiet at home growing up; I always felt that I had not earned my rights to speak up." "I knew then that life was what I made out of it, and from a young age many incidents taught me that I have to fight for what I want," she adds. "That made me who I am today -- going through a tough childhood -- so I am very touched, and always grateful." With FLY, Ang has since achieved one of her aim-for-the-stars goals of making the acting career a sustainable one for artistes under her wing. By identifying their additional talents in hosting or modelling, or in other areas, she ensures that her actors and actresses all earn decent salaries on the side, in between their show seasons. She maintains, however, that of all the awards she has received thus far in her life, the only one she really worked towards was the Asian Television award for Best Comedy Actress. "That (the ATV award) was the mark that told me: 'You are a comedian.' That was the only one I worked very hard towards -- I don't do things for nominations or awards; most of them come as a surprise!" she says. To our surprise, Ang says she is honoured to be nominated for the Singapore 9, but does not want to win. She mentions fellow nominees Michelle Chong, Adrian Pang and Hossan Leong, saying she would be happy to see any of them winning the award. "I've worked with all three of them before, and I really hope that I don't win, and that one of them do," she says. "For me, I've already won -- seeing how dedicated my staff are to this (helping me garner votes) -- I told them I really thought that was enough." "We are in the field where we get recognised very often, whether by claps or the box office. These are our everyday returns, and that is enough for me already -- when audiences appreciate my work," she added. "Loving what I do is enough. The client re-booking you is enough. The claps are enough... one has to be very appreciative of whatever you have, and I am always thankful." Irene Ang, Taufik Batisah, Hossan Leong, Michelle Chong and Adrian Pang are the nominees in the entertainment category in the Singapore 9, a Yahoo! project to recognise nine Singaporeans who have really made a difference in the past year. Make your vote count here.